But where is French Mechanics part 1, you ask? 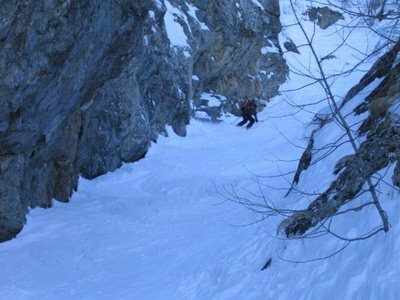 That joyful incident in the Bourg St. Maurice vicinity involved far too little skiing and far too much pain to make it onto the blog. Enough said. 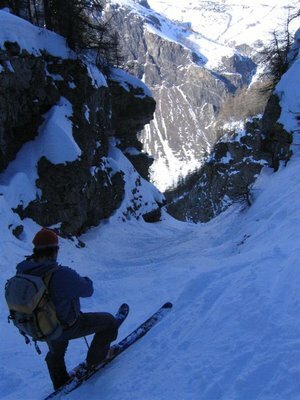 But on the way back from La Grave to Torino, I had an entirely different experience. After having the cylinder head gasket and most of the cooling system replaced on my perpetually unreliable Audi, the radiator hose blew off on the Rue Nationale 91, a few minutes past Villar D'Arene (heading towards the Col d'Lautret, Briancon and Italia) and dumped all of the coolant on the pot-holed tarmac. Oops. However, within a few minutes (before I even finished dealing with my roadside assistance), a passing mechanic on his way for a night out in Briancon has re-connected the hose, flagged down a passing car, and I was on my way back to La Grave to pick up some coolant and head home. Unfortunately the garage had just shut when we arrived, but the guys who do the gritting, snow ploughing and clear rock-falls off the roads were still there, and although they didn't have any coolant, they ferried me back to the car with two jerry cans of water - which although not ideal, was enough to get me and the car back to Torino, where the night-time temperatures are safely above freezing at the moment. A large rock-fall on the road just in front of me just added to the drama of a night that was really far too much excitement, but all's well that ends well, and a big "merci beaucoup" to the mechanic, the woman in the Volvo, and the road maintenance team at La Grave. Enough wibble...on to the skiing. The car saga was the imperfect end to an otherwise perfect day - blue skies, sunshine, and superb snow cover. The snow itself wasn't perfect (crusty or a little bit on the hard side depending where), but I can't remember when the traverse from Chancel back to P1 was in such good condition! 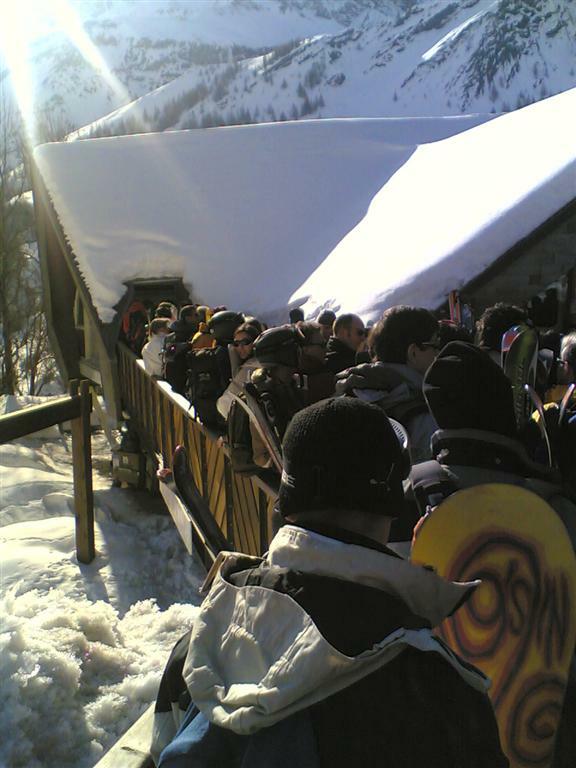 La grave bottom station, just before opening time. But it wasn't really a problem, and we still managed about 5,500m over four runs, including Chirouze Right (avoiding the rappel), and the False Fréaux (from the middle station). Matt Schonwald, our guide, at the top of the False Fréaux. Yours truly, starting the descent of the lower section of the False Fréaux (entry into this section was sideways, jumping down over about a meter of ice, and most of the (skiers) left hand side was solid ice in part shown here.